On November 26, 2018 the Prime Minister (An Taoiseach) of Ireland, Leo Varadkar TD and the Minister for Housing, Planning and Local Government, Eoghan Murphy TD announced that 88 projects will be allocated a total of €100 million under the Urban Regeneration and Development Fund (URDF). The aim of the URDF is to stimulate new infill residential and commercial development to help revitalize larger cities and towns. These new developments will be supported by new services and amenities, and will help us to achieve the “compact growth” that was set out in Project Ireland 2040. It’s all about taking a sustainable approach to developing the nation. The fund launched in July of 2018 as part of Project Ireland 2040. As a key part of Project Ireland 2040—the Government’s National Planning Framework and National Development Plan—the fund will help to rejuvenate significant but underused areas in Ireland’s five cities and other large towns. Public realm and riverside enhancement for the Abbey Quarter in Kilkenny. “A key feature of this Fund is continued collaboration, whether between Government Agencies, local authorities, communities and other stakeholders. I wish successful applicants all the best with their proposals and I look forward to seeing the lasting impacts of these in the years to come,” he added. Project Ireland 2040 is the Government’s overarching policy initiative to make Ireland a better country for all of us, a country that reflects the best of who we are and what we aspire to be. It’s informed by the Programme for a Partnership Government 2016, which recognises that economic and social progress go hand in hand, as well as by the National Planning Framework to 2040 and the National Development Plan 2018-2027. €500 million Disruptive Technologies Fund. The Fund is the most broadly applicable urban regeneration initiative in Ireland for many years and in line with the objectives of the National Planning Framework (NPF), is designed to leverage a greater proportion of residential and commercial development, supported by infrastructure, services and amenities, within the existing built “footprint” of our larger urban areas. 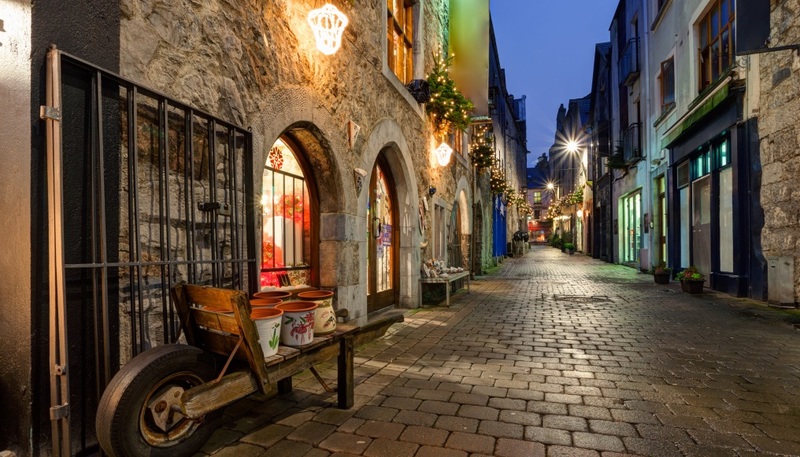 Photo of back street in Galway, Ireland via Adobe Stock. See full list of successful applications.